This cleanser is the closest thing to heaven, touching your skin. I came across this brand during my time at Liberty of London. This balm was love at first sight. Getting to know the philosophy of the brand and its products made it even better. 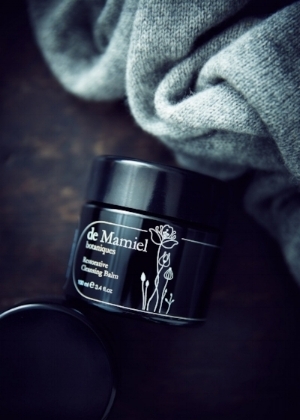 At that time I worked for a well-known skin care brand with a famous cleansing balm and I must say that De Mamiel cleansing balm left me very impressed. It's ingredients are exceptional, such as honey, chamomile, Myrrh and Manuka, with great healing capacity. It also contains probiotics that help fight pimples and is very antibacterial. It's touch is velvety, I recommend using it at night along with another cleanser for a double cleansing action. For all skin types, including skins with a tendency to produce more sebum, do not be fooled by its oily texture, this balm will make your skin radiant and hydrated. Another discovery of my time at Liberty - I'll confess that one day I bought it because everyone was obsessed with this tonic. I tried it once and then no more. Until one day when I just thought "let's spend what I have", I started using it and now I struggle whenever I run out. Those who have attended my courses or have come to receive a makeup service knows that this is a must on my dresser. Now I am super happy because they sell it around the corner from me, in Sephora so I don't have to wait for it to arrive or pay shipping costs. This tonic is magical, I assure you. I always use it before starting to apply make up and it leaves my skin super pretty and radiant. This elixir gently exfoliates the skin thanks to the glycolic acid, visibly reducing the size of the pores. It has Ginseng to stimulate blood circulation and Aloe Vera to moisturize and soothe the skin. If you have very sensitive skin and you want to start using acids, I think this could be a good option. I have been in love with this mask for a long time, it's everything about it: the smell, the touch, but most importantly - how beautiful the skin gets. Seriously if I could, I would eat it. It is indicated to accelerate your own cell regeneration, with lactic acid acts as a gentle exfoliation, blurring expression and fatigue lines . If you tend to have pimples, this mask can help your skin to recover and heal better thanks to antibacterial probiotics, an effective way to prevent and cure them. The result: more glowing skin. This is for for all skin types, ideal for brides or for skin lovers like me. This mask is considered very top of the line and is very well priced considering the quality of the ingredients. Caudalie is an excellent brand, with exquisite face care products. 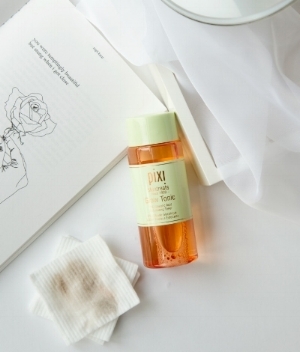 The Beauty Elixir is another of this brands products that has stolen my heart for a long time. 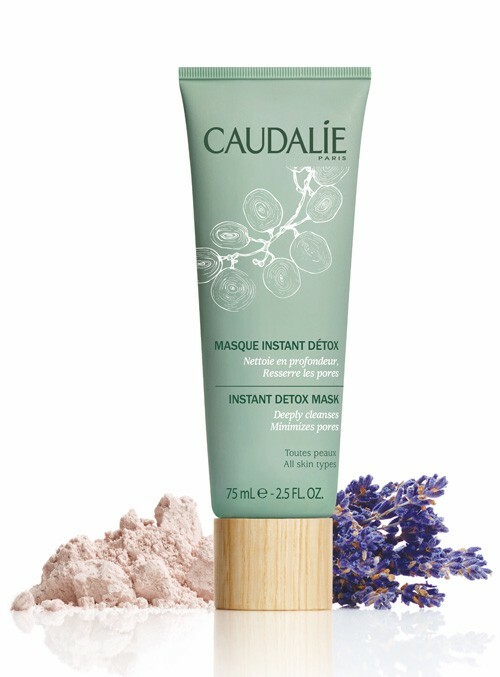 Instant Detox Mask is perfect for those with the skin a bit congested or with a tendency of oiliness. This mask purifies the skin and prevents the appearance of pimples. Thanks to the enzymes of the papaya, the skin gets a more radiant and invigorated appearance. Since this face oil came into my life I consider it the a real jewel. If we also consider that it's made in Spain and led by a woman entrepreneur who loves cosmetics - It has won me over forever. It is a face oil with a perfect photo protector, which prevents and corrects sunspots that may occur when we expose our skin to the sun. It is anti-aging thanks to the combination of different Amazonian oils. It is perfect to restore hydration and contains a very high amount of antioxidants. You can use it both day and night. I particularly like to use it at night with my little secret: to mix a drop of this precious oil with the foundation. I recommend you try this trick, I guarantee that the result will not disappoint any glow lover.